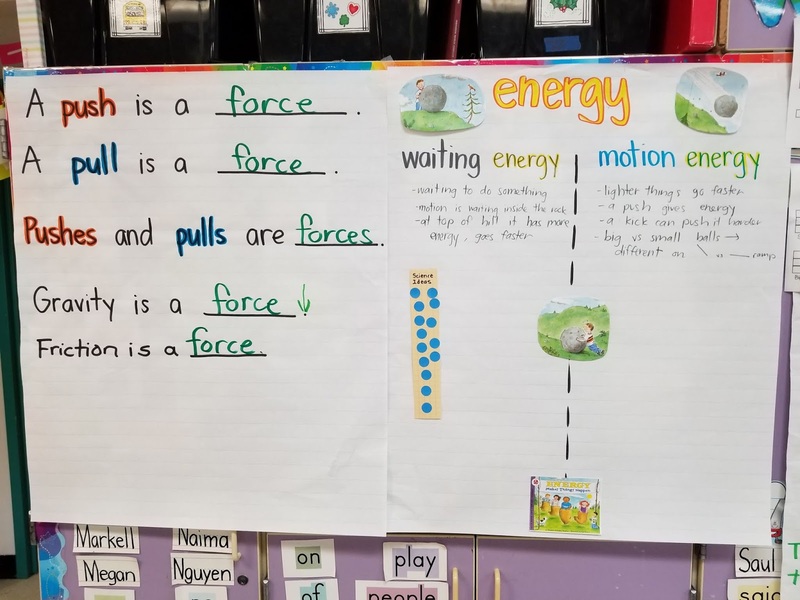 We have officially released our Forces and Motion unit! This is one of our absolute favorites!! We have done so much work with this unit and we're so excited to share it with you. This unit is designed for kindergarten NGSS standards and incorporates Ambitious Science Teaching practices. This unit has so many fun hands-on activities for students to learn about pushes and pulls, ramps, gravity, and energy transfer. 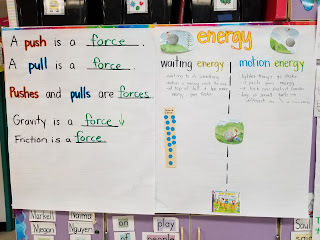 We usually teach this unit in the spring, so kindergarten students can use all of the science techniques they've learned throughout the year to engage in deeper discussions and more collaborative learning experiences. 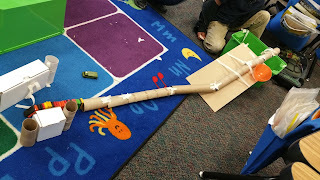 We love to hear how 5 and 6 year olds describe energy and gravity! We may have some professional learning opportunities coming up if you're in the Seattle area! Make sure to sign up to get e-mail alerts and follow us for the latest news! We've been working hard to put out more of our units! 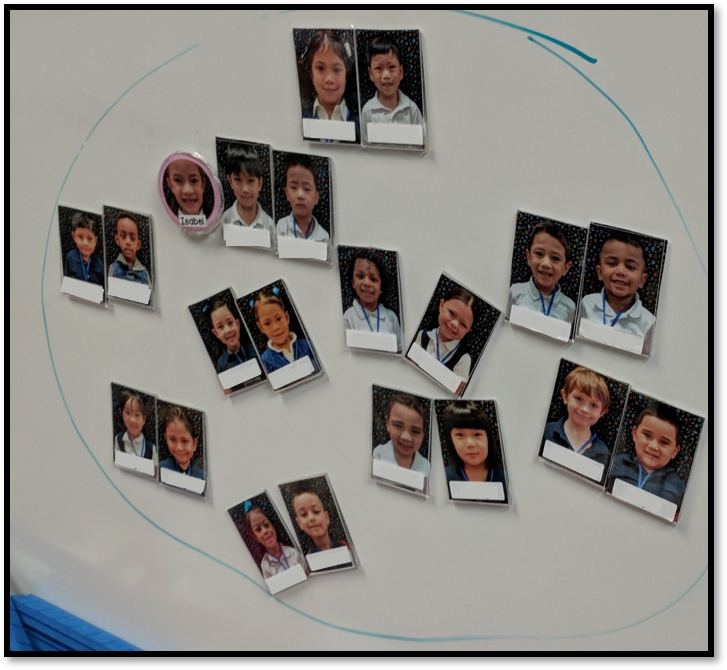 We now have a unit for each grade level: K, 1, 2, and 3! You can check them out in our TpT store! Our third grade unit: Orcas was coauthored by NOAA and tells the story of Springer, an orphaned Orca that was found in Puget Sound. We know that Springer has been thriving after being reunited with her pod, and recently had her second calf! You can read more about it on the Ocean Wise Marine Mammals Facebook page! Our Weather Unit is now posted on our TeachersPayTeachers store! We are so excited to share this first unit with the world. We've been working on it for many years and have revised it using real classroom experience. I just finished putting together a book list that goes with our Weather Unit. You can check it out under the Resources page! Reading books is such a great way to incorporate new learning into your lessons. We use books all the time to teach about new ideas and to introduce new concepts. We will continue working on building our recommended book lists for our other upcoming units. Stay tuned! In this post, I wanted to flesh out one of our tools - The Discussion Stoplight! 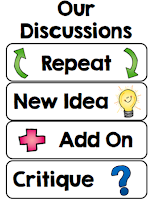 The idea behind the stoplight is simple - name and track the talk moves that students are doing during discussions. The stoplight is broken into four talk moves: New Idea, Add On, Repeat, and Critique. 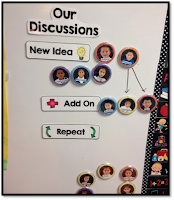 The Discussion Stoplight is great because it can be used in many different ways! You can put tally marks next to each talk move to track how many of each you have during your discussion. You can show trends in which talk moves are most common with your group and use this information to vary the student contributions. For example, you might say "I see we have a lot of new ideas. Does anyone want to add on to one of the new ideas?" Another way I like to use the stoplight is to add accountability to our discussions. I do this by using photo magnets to move students next to each talk move. In this way, we can track individual student contributions and connect student thinking. As students are sharing, I verbally name what they are doing. I say things like "It sounds like you're adding on to ___'s idea." or "Oh, that's a new idea!" Using common language with students is a great way to transfer the learning to them. They begin to pick up on the different talk moves they are making, and begin to talk to each other more effectively. This tool is great to use anytime you're having a discussion! I've used it mainly in science, but I've also used it when doing a read aloud discussion (when doing a close reading section). I hope this was helpful for you! If you're interested in getting a stoplight of your own, head over to our TpT Store to download one for free! Michelle and I had an awesome time presenting at the Starting Strong Conference in Lynnwood, WA this week! We are so excited to share what we've learned about science instruction over the last 4 years. We know many of you are looking for our Weather Unit! We are putting some finishing touches on it and it should be posted by this weekend. You can follow our TpT Store to get notifications for when we post new products. For now, we have our Discussion Stoplight up as a freebie in our store! 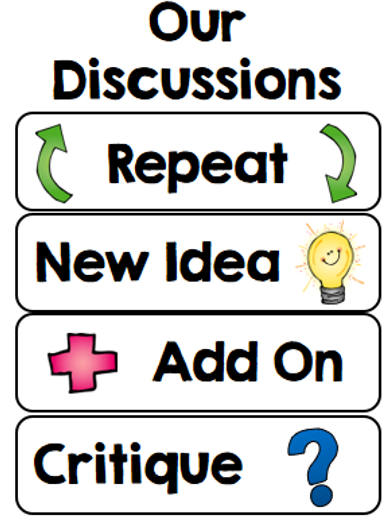 It is a simple, but effective tool to help you manage whole group discussions. We are so excited that you're here with us! We specialize in creating engaging science curricula that incorporates researched-based teaching practices. We believe that working with teachers and providing quality professional development is essential to any curriculum adoption. Our curricula and teaching practices have been implemented in many schools across the nation and teachers are amazed at the engagement and genuine learning that their students show. We would love to work with you and your school or district. Join Our Circle of Learning! Kaia Tomokiyo & Michelle Salgado, All Circles of Learning, LLC. Simple theme. Theme images by Ollustrator. Powered by Blogger.